The anticipation is tactile, like a drop in air pressure before a thunderstorm. Will XRP take over all of crypto in 2018? We've re-taken our #3 spot multiple times now, and let's be honest, it was never about the #3 spot. It's about the coveted #1 spot in crypto. Right now, Bitcoin - the crypto-currency that was the "first mover" in crypto - is considered the most well-known crypto, and that's understandable. It was the first, and the famed Satoshi Nakamoto whitepaper was all about Bitcoin.1 It serves to be nothing more than it ever was - a decentralized, no-counter-party risk virtual currency. It's an innovation that has been rewarded with massive investment by speculators. Each day, over ten billion dollars worth of value now flows back and forth between buyers and sellers of Bitcoin worldwide.2 Compare this to XRP's new average of one billion per day; it puts matters in perspective, and it also illuminates our path and shows us our current location. XRP liquidity is rising every day and week; one billion dollars in daily volume is exactly where Bitcoin was back on May 21, 2017.3 At that point, Bitcoin was averaging around one billion dollars per day in trading. Note that I'm quoting a point in time less than six months ago. If you're not amazed by that growth, you should be. That means that Bitcoin volume has been multiplied by ten, and XRP volume by approximately the same percentage. XRP has now reached a level of liquidity that exists only among the major global players; Somebody could buy a house with XRP and not even see the price rise or fall by a fraction of a cent. That's the kind of liquidity we wanted, and now it's here. If there was any doubt from the XRP fan base about Ripple - the company - understanding the importance of promoting their coin, it can be dismissed. After the initial April-May rally, and then the subsequent ROTG (Rally of the Gods) in December, there is very little in the way of room for self-doubt in the importance of coin promotion. To the XRP fan base: I'm not talking about marketing it to banks. I'm talking about marketing XRP to you and me. Don't get me wrong - historically, some team members of Ripple understood that for liquidity to build, it needed to be built with ordinary investors in crypto. This is true regardless of how much the actual production usage of that crypto is palatable to banking customers - some of the most conservative customers in the world. Yes, I understand that the sensibilities of banking customers are delicate. 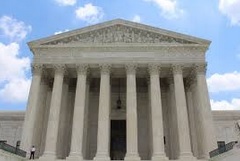 Banks & Financial Institutions do not like provoking the ire of regulators. Because of this, Ripple has been cautious since its inception in 2012, in dealing directly with those of us "first adopter" investors. After SWELL, Ripple decided to hire a communications expert. This is the sign of a growing organization that understands the importance of its public image not just with its main customers like banks and financial institutions, but also with a different but equally important audience - crypto investors. I am very excited by this hire. Ripple chose a person that has experience in high-profile communications; somebody who understands the importance and potential impact of choosing the correct words and approach for communication. While other industries no doubt have strong candidates, I'm very pleased this person was a hire from a powerful social media conglomerate like Facebook. It's exactly the kind of experience that Ripple needs to promote XRP to two completely different audiences. Some of the XRP veterans may remember when Ripple had a very limited number of employees, free time, and financial resources. Those were the "old days" when Ripple had to make very difficult choices on where to invest their time and money, and it seemed - regardless of the reality - that Ripple was more focused on carefully managing their image in front of their conservative banking clientele. I didn't blame them for devoting a small percentage of their time to the community. In fact, I'll go a step further; they made the right choices. They made all the right moves when it really counted - when they were building the core capabilities that is the basis of the XRP Ledger and the components that collectively comprise the nuts and bolts of RippleNet. Unlike some companies that create ICOs, Ripple understands the importance of actually building a product before marketing it. In 2017, they've transformed into "Ripple 2.0", and it seems clear to me now that they understand that they have two very different, but equally important audiences: Bank customers and crypto customers. 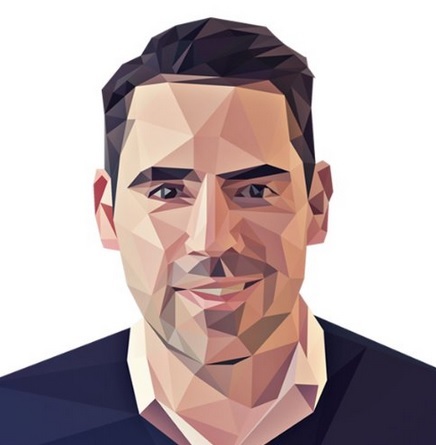 In my opinion, this understanding started to be evident in 2016 with the hiring of Miguel Vias from CME Group.8 That was an incredible hire, and Miguel is one of the most popular icons in crypto a year later. His presence on stage in May 2017 at Consensus was great publicity for XRP. 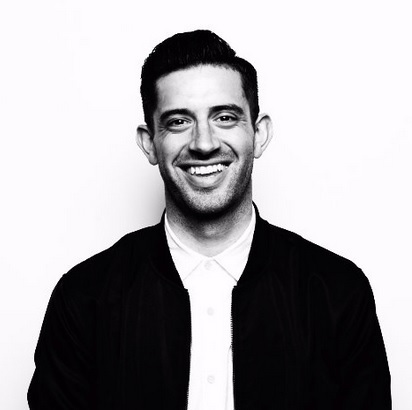 After the SWELL conference in October, Miguel has continued to build on XRP liquidity by meeting with XRP investors - at XRP meetups in Seoul and Tokyo.9 10 This sent a message to the crypto markets: Ripple understands the importance and potential of the (retail) crypto market, and is working diligently to raise the profile of XRP. And let's not forget about Brad Garlinghouse and Joel Katz. Both held Quora sessions11 12 and interviews, as well as live-streams,13 directly with the crypto market audience - not the banking community. This hammered the message home if there was any doubt that Ripple is acknowledging the importance of the crypto market. These events were, in retrospect, exactly what the market needed to hear. All I can say is... thank you... and more of the same, guys. And congratulations on a strategy well-executed. In case you missed it, a rumor of two "household names" was started by none other than our JoelKatz (a.k.a. Ripple Chief Cryptographer David Schwartz) on Discord about a week ago.14 Since then, speculation has been rampant about which names Ripple was going to announce. Some XRP investors want a consumer application to be one of the partners. Still others are dropping the names of major banks. Others are surmising social media companies might be involved. "Our Cuallix announcement was a clear indication of significant progress, but it’s just the beginning. In the fourth quarter, we’ll announce additional xRapid partnerships, an innovative approach to using XRP to further Ripple Network adoption, and new ways XRP will drive broad development of the digital asset space." That's right - additional xRapid partnerships. Since there's only a couple weeks left in 2017, it will be interesting to watch how these announcements unfold in the wake of XRP's recent price appreciation. XRP isn't the only crypto that's seen some impressive gains recently. The entire market is up - way up. This liquidity originates from a small number of countries, which is cause for reflection. Is the market really entering mainstream, or is it still going through its initial growth spasms? Is it entering a bubble yet? We're probably not in a bubble. The Gold market cap is listed just to the left of "Physical Money" which others say should be the real benchmark. The Gold market cap is considered roughly 8.2 trillion dollars. This would mean that the crypto industry is at the beginning of its growth stage, and is increasing rapidly. Mainstream investors will start entering - scratch that, have started entering at this point, even in the West. 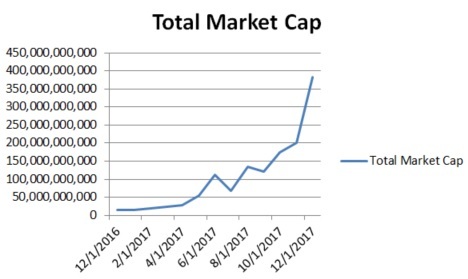 The current market capitalization of crypto is roughly a half-trillion dollars: To match the gold market cap, all of crypto - not just Bitcoin - would need to expand by 1,600 %. And it is expanding to that point at record speeds as the rates of return on crypto investment reach astounding levels. Are you strong in mathematics? If you are, then you've probably already figured out where XRP - where all of crypto - is heading. But there's some finer points that you need to keep in mind as you make your investment choices. While I'm no expert at macro-market analysis, I've studied the velocity of investor adoption, and I believe that at some point in 2018 or 2019, a bubble in crypto will form. My intuition tells me that it will start to form in late 2018, but I'm not really sure. Perhaps we won't see a bubble until later in 2019. You should consider me a biased source: I'm one of those conservative investors that withdrew from the stock market completely before the 2016 presidential election. So perhaps I'm too conservative when I say a bubble might form in 2018. If you are a student of where crypto volume originates, you have a different reason to verify that we're not currently in a bubble. The Western countries generally haven't really seen mainstream retail investor adoption. 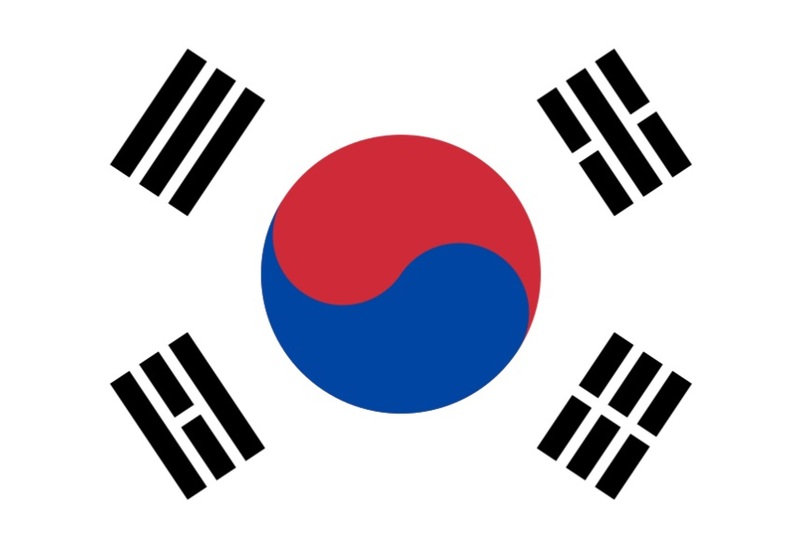 Most of the day-over-day volume comes from Asian countries where crypto investors don't have the negative connotations of crypto that those English-speakers in the West do.18 19 It's been years since the take-down of Silk Road, and yet the Western countries still associate crypto with its black market roots. Despite the fact that I believe crypto is facing growth across the board of 1,600% or more, I do not believe that all cryptos are cut from the same cloth. Some day traders literally glance at a chart and make their decisions; they depend not on the fundamentals of the stocks or crypto that they're trading. Instead, they rely on a set of trading guidelines that help them make emotion-less decisions about when to buy and sell. But for me - and for the vast majority of investors - they are looking for an investment that will provide value long-term. They are looking for an Apple. Or Tesla. or Google. This attribution of the market share by function is an oversimplification, and it assumes that these three crypto-currencies are created equal. They are not created equal. Only one is run by a company of 200+ of the best and brightest in Silicon Valley and around the world. 24 Only one has been created by a company... period. That's XRP. Any of the three can become the leader at being a store of value. But XRP can now do smart contracts with Codius, and is looking to build out this functionality even further.25 While a distributed application involving kittens26 was enough to impair the Ethereum network, Ripple is taking the scalability and security of its smart contracts application - Codius - much more seriously. Ripple - and XRP - is aiming to serve banks and financial institutions; it's the only one of the top choices that is production-ready for global levels of transactions. Could XRP take over the use cases of the other two and become the "Google" of crypto? 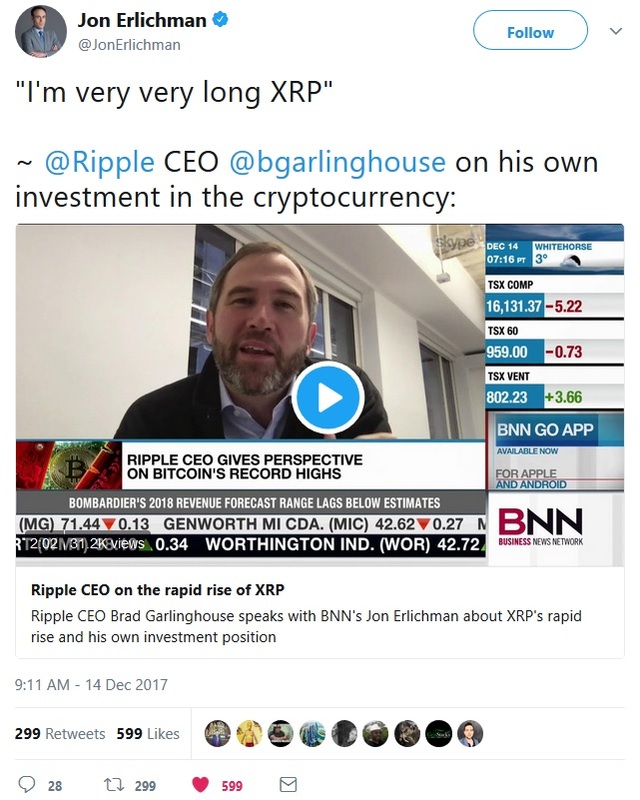 People are now talking about Brad Garlinghouse's recent quote. He personally owns XRP and is "Very Long" on it as an investment, comparing it to the wisdom of holding onto Amazon stock in the early days while others shorted it.27 I've already covered how Ripple's business partner in Asia - SBI - has a massive plan to vertically integrate many separate crypto businesses. And Ripple has layers of plans as well. It is led by the best, and they only hire the best. Do your research carefully before making any investment decision. Then place your hard-earned money on the best choice.